Bulus Galadima did his education in Nigeria, the United States and briefly in Scotland. He has been involved in higher Christian education for over 20 years. He has taught undergraduate and graduate studies in Nigeria and the US and served in various higher education leadership roles in Nigeria. He has also served as a pastor in Nigeria and the US. In 2003, Galadima, along with other Christian leaders, started More Than a Mille Deep, an indigenous African Theological Education program committed to train Christian leaders in Africa. 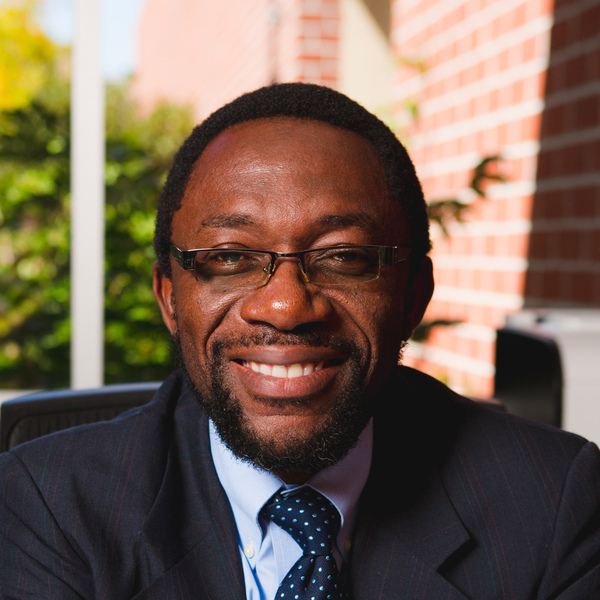 From 2013–2015, he was Vice Chairman for ACTEA (Association of Christian Theological Education in Africa), where he is currently on the advisory board. He also serves on the doctoral committee of ICETE (International Council of Evangelical Theological Education). He is an ordained minister with ECWA (Evangelical Church Winning All). He loves soccer. Galadima is married to Rose and they are passionate about mentoring young Christian leaders. In 1994, they started Almanah Rescue Mission a ministry to widows and orphans. They are blessed with four children, and three grand children. They attend Eastside Christian Church in Anaheim, CA. "Non-Formal Theology: A Case for Lay Involvement in the Theological Endeavour" TCNN Bulletin No. 29, June 1996. "One Faith, One Body, One Hope" CRUDAN News No. 21, Jan-March, 1997. Co-author with Yusufu Turaki, "The Church in the African State Towards the 21st Century: The Experience of Northern Nigeria" Journal of African Christian Thought Vol. 1 June 1999. "The Pastor's Contribution to the Development of his Society" The Journal of Association of Theological Students of Nigeria Vol. 1, February 1999. Book Review of Andrew F. Walls, The Missionary Movement in Christianity, Booknotes for Africa March 1999. "Nigeria" Baker Evangelical Dictionary of Missions Grand Rapids, Michigan: 2000. Co-Author with Yusufu Turaki, "Christianity in Nigeria Part I" Africa Journal of Evangelical Theology Vol. 20:1, 2001. Co-author with Yusufu Turaki, "Christianity in Nigeria Part II" Africa Journal of Evangelical Theology Vol.20:2, 2001. "A Critical Evaluation of Bolaji Idowu's Theology and Religious Language" Africa Journal of Evangelical Theology Vol. 20: 2, 2001. "Religion and the future of Christianity in the global village" in One World or Many? The Impact of Globalisation on Mission, ed. Richard Tiplady. William Carey Library, Pasadena, California: 2003. Co-author with Rose Galadima, "AIDS Pandemic in Africa" Online, 2004. Against All Odds: A Brief History of ECWA Theological Seminary, Jos (JETS) 1980-2005. 2005. Poverty and Divisive Ethnicity in Africa. More Than a Mile Deep, Nairobi, Kenya: 2006. Book Review of, Peter Marubitoba Dong, et al. The History of the United Methodist Church in Nigeria. Booknotes for Africa November 2011. Book Review of Jacob K. Olupona, African Religions: A Very Short Introduction,Booknotes for Africa 32: 2014.